Adam Levine has jetted off on holiday with his new girlfriend Nina Agdal. Adam Levine has jetted off on holiday with his new girlfriend. The Maroon 5 rocker was spotted soaking up the sun with Sports Illustrated model Nina Agdal, 21, whom he has been dating for three weeks, in Los Cabos, Mexico, on June 22, Saturday. The couple enjoyed a game of volleyball together, according to UsMagazine.com. The brunette beauty was first spotted with The Voice USA mentor on the set of the reality TV series on May 23, shortly after he ended his on/off relationship with Victoria's Secret angel, Behati Prinsloo. 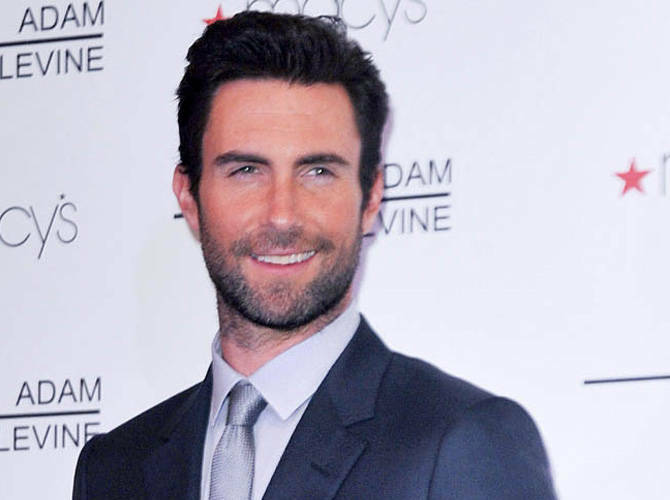 Adam, 34, recently admitted he would like to get married in the future, saying: "I'm a fan of marriage. People think that I keep pooh-poohing marriage, but I love it. "I want to probably be married at some point." But Adam also insisted that despite being linked to a string of models, including Anne Vyalitsyna, whom he split from in April 2012 after two years together, he doesn't feel under pressure to settle down. He added: "I don't feel pressure to get married. I think that when it's time, it's going to be obvious and I'm going to do it and I'm going to really enjoy it." This "Moves Like Jagger" hitmaker, whose relationship with Danish beauty Nina is said to be "still new," previously claimed he would never tie the knot because he doesn't want to ever get divorced. In April, he said: "If you don't get married, you can't get divorced. Why couldn't we learn from the devastatingly low percentage of successful marriages that our last generation went through?"